So. Freaking. Nervous. Can’t. Move. Oh my goooooddddddd I’m so nervous! There are only 2 days left on the Kickstarter to fund Tracy Queen, Volume 1! It’s super close to getting funded, but it’s impossible to know right now! Guuhhhh I can’t take the uncertainty! You know what this campaign needs? It needs more people to know about it! That’s why the Oneshi Press folks are offering extra goodies for helping to spread the word! Between now and Thursday afternoon, the Oneshi Press folks are scouring social media for mentions of ya girl! If you’ve backed the Kickstarter at a level that includes mailed rewards (so 1st Lieutenant or higher! 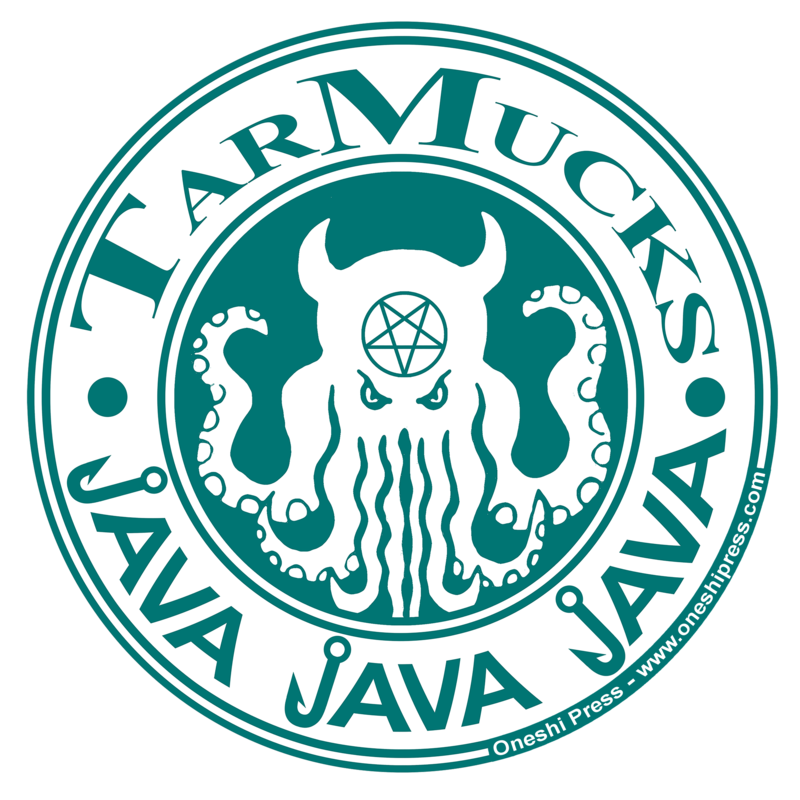 ), they’ll add a super-sweet TarMucks vinyl sticker to your package when you use #tracyqueeniscoming on Twitter, Facebook, or Instagram! These stickers are super high-quality, tough as shiz, and look frackin’ sweet on laptops. Just sayin! If you’re even half as nervous as I am about this Kickstarter, you’re probably looking for something to keep you busy for the next 2 days till it ends! Rather than pulling out your hair, like I’ve been doing….why not read? The campaign’s gotten all kinds of media attention lately. The badass Wendy Browne at Women Write About Comics did a Q&A with the co-creators of the graphic novel: Jayel Draco and Lynsey G! They covered raccoons in pop culture, designing my armor, and why my story had to be a graphic novel! Read it all here! The writer of the book, Lynsey G., wrote about the science that convinced her that promiscuous women like me will rule the world one day! Give her article a read if you’re not squeamish about sexual anatomy! Check out this super-cool min-review of Tracy Queen, Volume 1 from The Comic Book Yeti on Twitter! Our favorite line? “Guys, I feel pretty confident in saying there’s no comic like this out there.” I agree. I got some love from the wonderful Comic Book and Movie Reviews last Friday! There’s a preview of pages 1-8 of Tracy Queen, Volume 1 for you to enjoy right here!